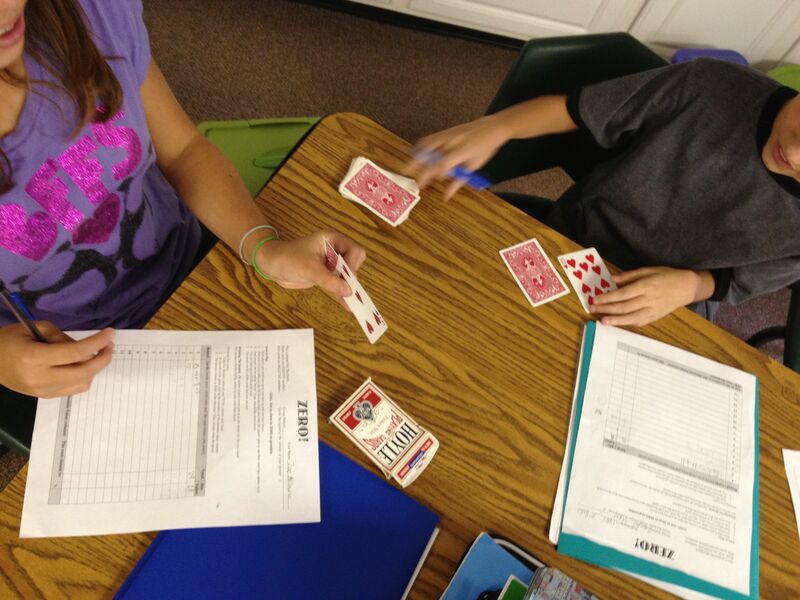 Playing game in math class can engage even my most reluctant students. It is so inspiring to see them light up with competition! For this weeks challenge I decided to compile all of the games that I have blogged about in the past. Most of the games listed below include powerpoint templates that I have created. I always forget about the great games I have used in the past and hope this will be a good reminder for me and anyone else who may need it! My top three for high school are Math Survivor, Trasketball, and Speed Dating! 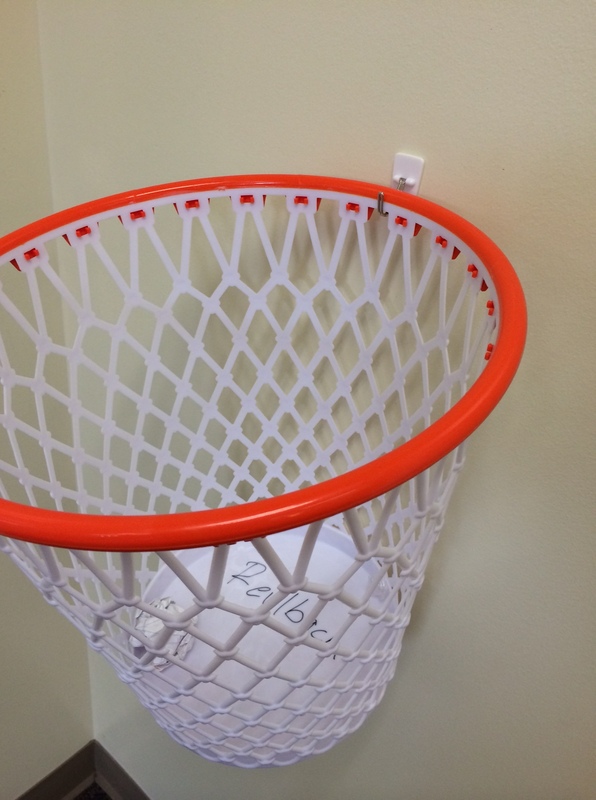 Trasketball (Powerpoint Template included) – Another great review game that is always a big hit with the kids. I love to get them up and moving. Speed Dating – Great to get kids working with different people all period. HS students will be embarrassed bc of the name and work quietly. lol! Thanks Kate! Row Games – These are partner activities for specific topics instead of a general review. Thanks Kate! Add It Up Partner Activity Thanks Rachel! 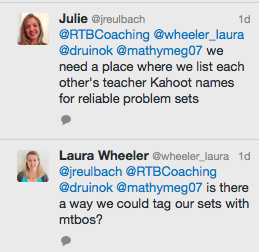 Kahoot – I have used other online quiz games, but my students always beg for Kahoot. 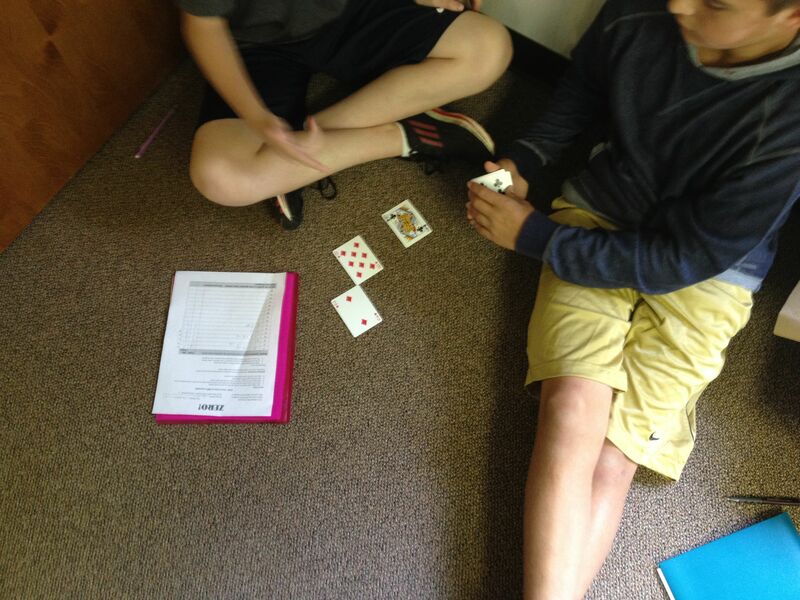 Zero Game for Integer Operations – Great middle school game! Euclid the Game (Geometry) – This is a game that helps kids learn constructions. Math Games Collection on Google Docs – Add Your Game Today! In a recent Middle School Math Chat (#msMathChat, Mondays at 9PM EST), Adrienne, @shlagteach, suggested that we create a Google Doc compilation of games for math class. So, I created a Math Games for the Classroom Google Spreadsheet. The spreadsheet lists the game, the concept or standard the game teaches, and the rules for each game. Please add a math game to the spreadsheet. You can add an individual game, or if you know of a collection of games, you can add it to the “Collections” page. Thanks so much to John Golden, @mathhombre, for adding the Collections page and several collections! It would be really helpful if you have blogged about your game, so that you can go into detail explaining it, and then include a link to your blog post in the Spreadsheet. If you haven’t blogged about the game you want to add, this would be an excellent opportunity to do so! 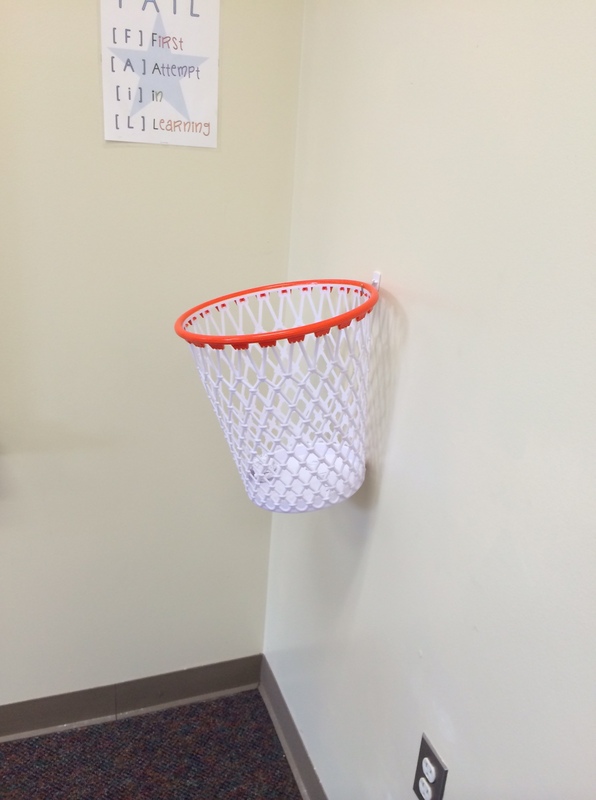 Bill Carrera had an idea for a great activity using the spreadsheet. He had his students read the Math Games Google Spreadsheet and pick a game to learn and play. He even had the students create their own games and teach it to someone else! 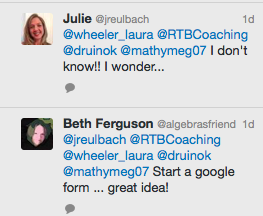 I would love to hear any other great ideas or what you are doing in your classroom with math games! Area Formula Game – Draw It! My students love this! And, it gets them up out of their seats. This is hard to explain so today I made a video of some of my students playing it. These amazing students volunteered to come in during their recess to play for me! Did I mention how much I love 6th grade! The ppt is also on Slideshare. I got this amazing game from Denise at Let’s Play Math. It is played like Blackjack because the kids are dealt 2 cards, and can say “Hit Me!” to get up to 4 cards. They love, love, love it. 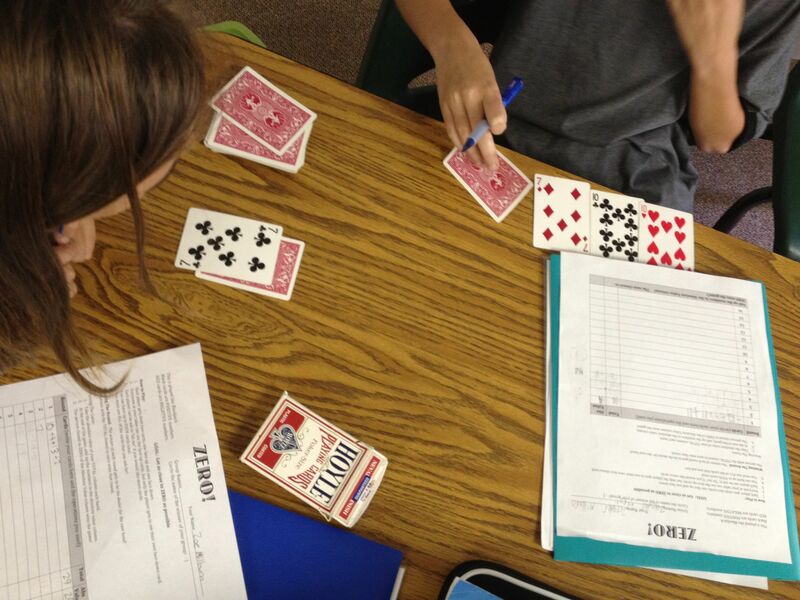 1 deck of cards per group of students (3 to 4 students per group). It doesn’t matter if the decks are missing cards or mixed up. 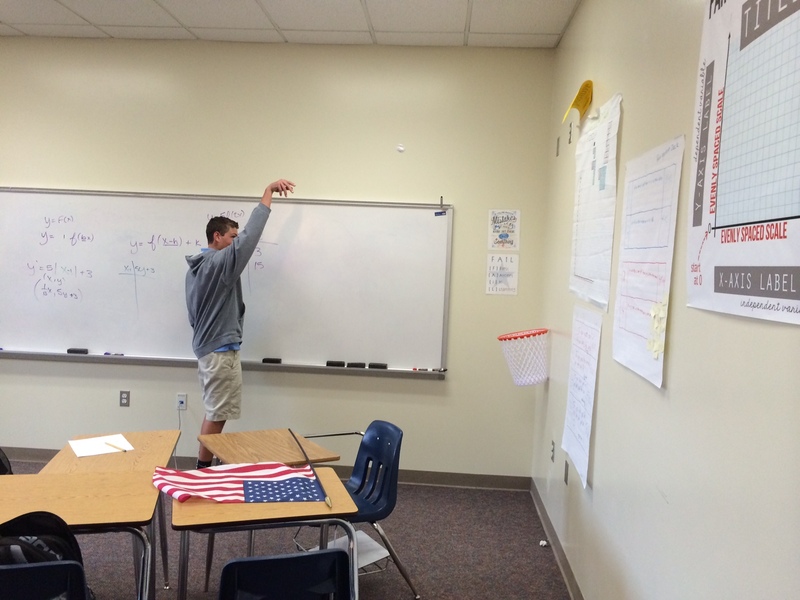 Object of the Game – Getting the total absolute value score closest to Zero! Object of each HAND – Getting each hand closest to Zero! Red cards are negative, black are positive. Jacks – 11, Queens – 12, Kings -13 Aces 1 or 14 (depending what you need). Deal each player 2 cards. One facing up and a hidden one facing down. Each player adds up their cards to see if they are close to zero. They can say “Hit Me” and get another card. They can get up to FOUR cards but must use all of their cards in their final total. They can also HOLD at two cards. Once everyone is finished being “Hit” all cards are turned over. Each player writes all of their cards down and then adds up their total in the total box. The person with the smallest total wins the hand and gets to be the dealer! Each player finds the absolute value of their total in the absolute value column. When time is up, each player adds up the absolute value column. The person closest to zero wins the game! I usually have a winner for each group of people playing, and then a winner for the entire room! This really gets them excited when we see kids who have very low total scores. It is great fun and the kids BEG to play it for many days after we play it the first time. It is also great practice! Just be sure that they are writing down their numbers so you can check their sums if needed. If your students don’t know absolute value yet, you can just leave the last column blank. Just add up the sum of the Totals column to determine the game winner. I used to let them do multiplication and division but it gets very complicated. 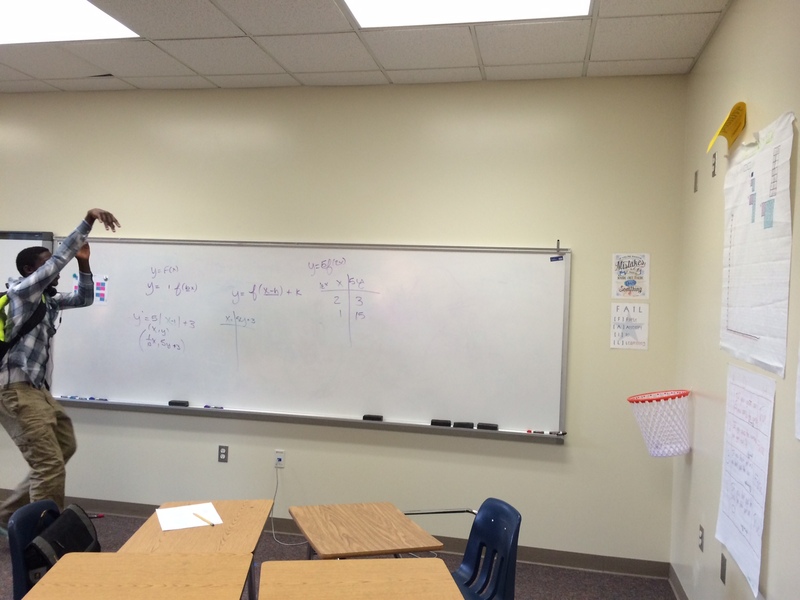 They have more fun (and get to practice combining integers more) by just doing addition. You could also use a + , – dice and have the dealer roll it each round to see if everyone at the table should do addition or subtraction of negative numbers (to make it more difficult).